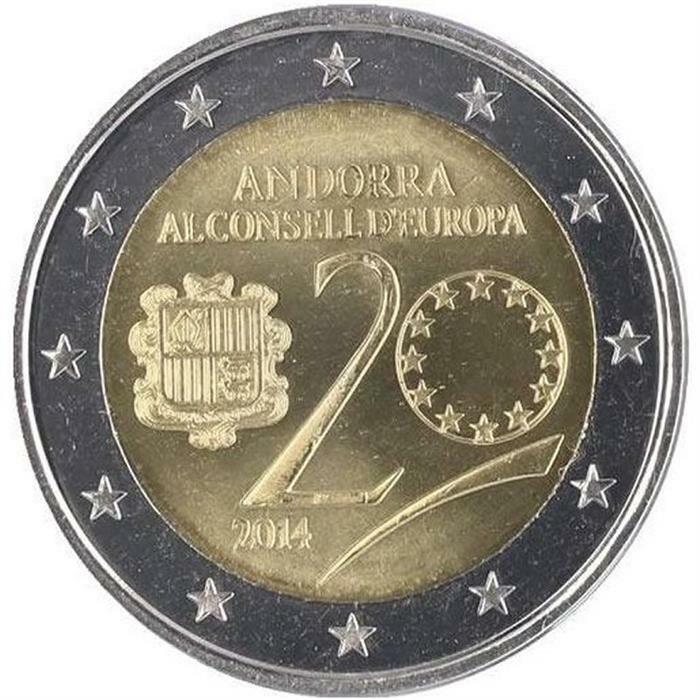 Home > specials > 2014 Andorra First €2 Coin Issue "Council of Europe 20 Years"
Finally released by the monetary authority of Andorra on February 29, 2016 - more than 15 months after it was first announced in late 2014 - this is the first commemorative 2 euro coin to be released by the microstate. It celebrates the 20th anniversary of Andorra being admitted to the European Council. 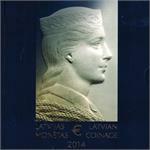 Issued in two versions for collectors, but not for regular circulation, both qualities feature the same design. The reverse shows the coat-of-arms of Andorra with the number 20, the year date, country name and inscription "AL CONSELL D’EUROPA" (in the European Council). 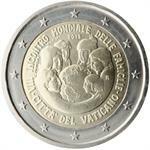 The obverse is the common design for the standard 2 euro coin.